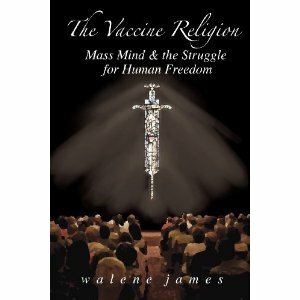 Walene James has just issued her latest vaccine alert in a second book, The Vaccine Religion: Mass Mind & The Struggle For Human Freedom. Asks James: “Why does the United States Center for Disease Control recommend that babies receive 45 injections of toxic substances known as ‘vaccinations’ by the time they are 6 months old? "When did the police powers of the state start dictating personal health care choices and foist upon men, women and children of all ages compulsory medical procedures such as vaccinations?" According to James, The Vaccine Religion is a 21st century Mass Mind Virus marketed by a multi-billion dollar hospital, drug, and insurance racket and reinforced by the World Health Organization, the United States Government and mainstream media. James argues that no one has ever proven the efficacy of any vaccine, nor has anyone proven that vaccinating a population against a specific disease led to the decline or total elimination of that disease. “Not only do vaccinations damage the immune system,” writes James, “they damage the nervous system as well... to my knowledge, no other medical treatment—with the possible exception of orthodox cancer treatments for children—is forced on people with the aggressiveness and sometimes ferocity as vaccinations." Walene James is a retired English teacher, writer, lecturer and researcher. 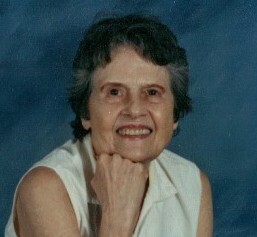 Her bestselling book, Immunization: Reality Behind The Myth (1988, 1995), is in its second edition, seventh printing. In 1996 she founded Vaccination Liberation: Citizens for the Repeal of the Compulsory Vaccination Laws. If you are an impassioned truth-seeker, who dares to risk all for the sake of preserving the health and welfare of your children and grandchildren, you need to read this book.